Your neighborhood, your t-shirt, our Berlin! With our unique Berlin’s “KIEZ T-SHIRTS” you can show your love for your favorite neighborhood in Berlin; which one is yours? Here you’ll find the suitable sizes of our tops. 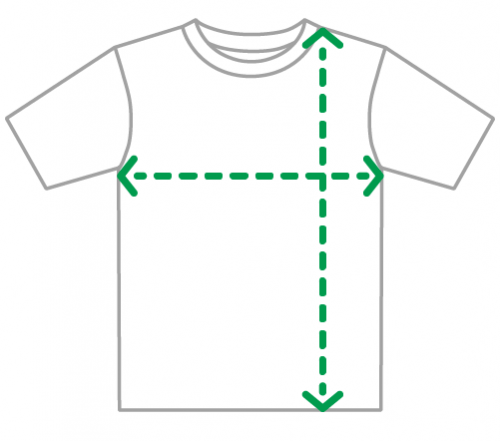 Measure the chest circumference and length as shown in the drawing. Please note that the dimensions are only a guideline and may differ slightly depending on the product.